Welcome to Berry Lady Farms. We are a small family farm that grows and packages blueberries, blackberries and Ruby Boysens. Our berries are sold at our farm store, farmer’s markets, and around the world through our commercial distributors. We are located near the Kings River and the beautiful Kingsburg Swedish Village. Our berry harvest is typically from mid-May through mid-July. You may visit our farm store during the berry season Monday though Saturday from 9:00 am to 6:00pm. 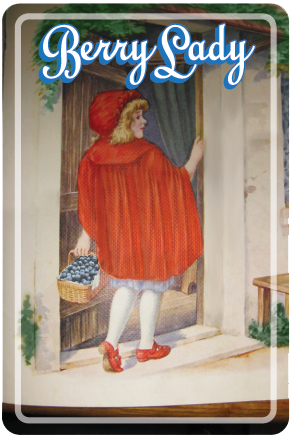 We feature fresh berries in season, homemade jams and jellies, assorted baked goods, dried blueberries and much more! Farm tours are appointment only. We do not have U-Pick.